On 19 October 2016, Professor Maurice Mendelson QC, the former Chair of Public International Law at UCL and former Rapporteur and Chairman of the International Law Association (ILA) Committee on Formation of Customary (General) International Law spoke at UCL. Professor Mendelson discussed the work of the ILA and International Law Commission (ILC) on the formation and identification of customary international law. At the outset he stressed that, the task of setting out the principles on the formation of customary law was not an easy one, but very much needed. This is because, apart from the academic interest in the elucidation of the issue, it possesses the potential to assist domestic courts and practitioners in municipal jurisdictions when faced with questions relating to customary international law, as well as to those who wished to study international law. The speaker drew comparisons between the Statement of Principles Applicable to the Formation of General Customary International Law adopted by the ILA in 2000 and ILC’s Report on Identification of Customary International Law issued earlier this year. Professor Mendelson observed that the ILC’s Report was closely modelled on the ILA’s work, thus there are indeed great many similarities between the two. Both institutions drew largely on the same sources, mainly but not exclusively ICJ decisions, and adopted the same technique of stating a “principle” (ILA) or a “conclusion” (ILC) accompanied by a commentary. He noted that, whilst the ILA reports spoke of “formation” of customary law, the ILC spoke of “identification”. The title of the ILA committee had not been his choice, and overall he preferred the ILC’s term; however, it was to be appreciated that this did not, in many cases, enable the issue of an alleged rule’s pedigree to be sidestepped. There was no substantial disagreement between the ILC and ILA with regard to issue of state practice as an element of a customary international law rule, although slightly different terms were used to describe any such state practice. According to the ILA, for instance, it had to be ‘virtually uniform’ (Principle 13). The ILC, conversely, referred to ‘sufficiently widespread and representative, as well as consistent’ practice (Draft conclusion 8). According to Professor Mendelson, the reports take similar approaches to the ‘persistent objector’. The ILC report contained a short section on particular customary law (including but not limited to local and regional); the remit of the ILA Committee had precluded examination of this topic, but he had gone into it in some detail in his lectures to the Hague Academy of International Law, and he gave some examples of particular customary law where the criterion was not geographical. Where the ILA and ILC palpably disagreed was the role of the opinio juris, what is usually said to be the second element of a rule of customary international law. The ILC Report espoused the more orthodox view that both state practice and opinion juris were necessary conditions for a rule to be considered as customary international law. Professor Mendelson believed that, although opinio juris had a role to play in certain circumstances, it was not always necessary to prove its existence in order to show that a rule amounts to customary international law. Presence of widespread and representative state practice could be sufficient indication of existence of customary international law. He also rejected the argument that opinion juris was necessary in order to distinguish customary international law from comity. It was usually the context in which the state practice occurred that allowed to make the distinction. Finally, the ILC’s use of term ‘accepted as law’ so as to indicate the subjective or psychological element, superficially circumvents some of the problematic aspects of opinion juris. ‘Accepted as law’ does not necessarily mean that states believed something to be law. It could also mean that states wanted it to be law or accepted it without holding a belief that it was an existing rule of law. The ILC and ILA concurred on the point that resolutions of the UN General Assembly as a general rule and of itself did not create a rule of customary international law (Principle 28 of the ILA Statement of Principles and Draft conclusion 12 of the ILC Report). However, in its Principle 32, the ILA proposed an exception: ‘Resolutions accepted unanimously or almost unanimously, and which evince a clear intention on the part of their supporters to lay down a rule of international law, are capable, very exceptionally, of creating general customary law by the mere fact of their adoption.’ Professor Mendelson emphasised that this reflects very exceptional and extreme circumstances in which all the states had to be united in the face of a common challenge. Finally, Professor Mendelson concluded that it could hardly be expected that the product of the ILC’s work on customary international law could become a treaty but it may gain clout as an important source of guidance and reference on the issue. By Samantha Morgan –Williams (PhD Candidate & Academic Assistant at the Centre for Criminal Justice and Human Rights, University College Cork). Although human rights are increasingly considered to be a thorn in the political power’s side, it is unquestionable that the flip side of this is that the public’s awareness of human rights is at an all-time high. 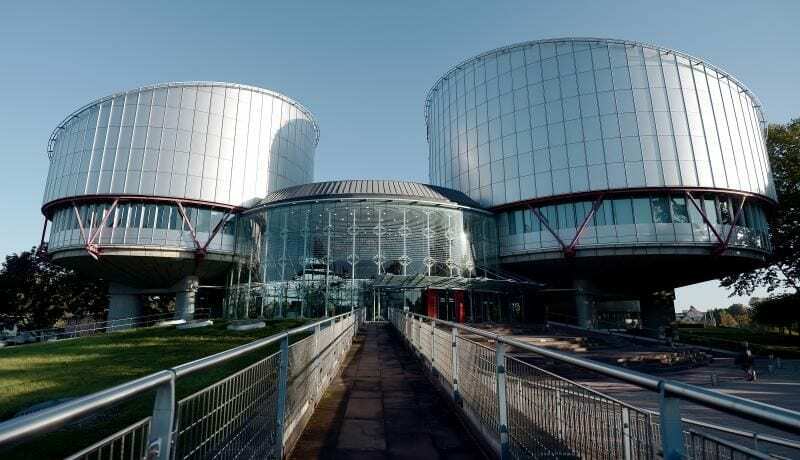 The increasingly negative views of human rights by the British public have been attributed directly to negative media representation of the European Convention on Human Rights and the European Court of Human Rights (ECHR or the ‘Convention’, and ECtHR respectively). The book is thus, part of a wider consideration of the increasing role and significance of human rights within international governance and global justice. The title is not intended to break new ground, but instead seeks to explore the effects of these new human rights implications upon the criminal justice system in a number of identified areas. These include: gender, terrorism, transnationalism, prisoner rights, new order ‘issues’ such as kettling and existing legal structures and court practices. An examination of these is warranted and necessary, as according to the authors, ‘human rights have eclipsed the rhetoric of religion in contemporary moral discussion’ (p 1). 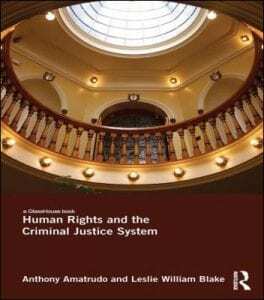 The book commences with Chapter 1: ‘Human Rights and the Criminal Justice System,’ a rather broad title which blurs the content of this chapter somewhat, citing the works of Manuel Lopez-Ray, Stanley Cohen, and Lucia Zedner in order to show three paradigm treatments of human rights within academic Criminology. The aim here is seemingly to throw light on contemporary theory and practise (p1-2). However, for a book intended for use by both students and academics interested in this area, the explanation of each of the aforementioned is arguably a little thin in order to be of benefit to the former intended readership. Chapter 2, ‘ECHR and contemporary human rights thinking’, provides a solid background to studies on the Convention and its application in contemporary criminology, focusing largely on its roots in order to better understand its placement within contemporary criminal justice systems. Indeed, the authors raise some interesting points regarding the Convention’s current position in the UK political mind-set recognising on-going plans to repeal the Human Rights Act 1998 and replace it with a “British Bill of Rights” (p23). This approach leads well into Chapter 3, ‘Human rights in British and European Law,’ where the authors address the basis of the Common Law and explain the key differences between Scots law and British law (pp 38-46). Despite the title’s focus, the authors also provide analysis of both Commonwealth (p 51) and US systems of rights (pp 43-5) in this chapter, which lends important comparative insight to this section. Chapter 4, ‘Recent court cases and their principles’, highlights the core principles of recent court cases concerning police powers, surveillance, and the collection of data. This chapter offers an interesting read for anyone concerned with the right to protest (p 52), or other topical issues such as the ‘kettling’ of children (pp 57-8). Blake also explores the case law concerning proliferating police powers of surveillance and the collection of data (pp 54-6). The examined cases such as Castle & Ors v. Metropolitan Police Commissioner and Wood v Commissioner of Police for the Metropolis are subject to in-depth and thorough analysis (pp 58-61). Particularly noteworthy here is Blake’s treatise of the case of Brian Haw, known for his one-man demonstration in Parliament Square – who argued that retrospective criminal legislation breaches both the Common Law and Article 7 & 10 of the ECHR (pp 60-4). As such, the text provides a solid analysis of recent jurisprudence in this emerging area, and excellent consideration of the key principles in these cases. However, the success of this analysis is marred slightly by the fact that this book has no section dedicated to such cases, as is characteristic of a legal text. Instead, the cases referenced throughout the text are included in the index. While this could be owing to the book’s intention to straddle both the criminological and legal genres, this oversight does somewhat detract from this book’s potential to be used, as intended (and explicitly outlined by the authors on the back cover), as an accessible reference point for both undergraduate and postgraduate students and lawyers. The subsequent Chapters continue to address interesting and highly topical issues for both law and criminology, such as race and gender (Chapter 5), victims and victimology (Chapter 6), terrorism (Chapter 7) transnationalism (Chapter 8) and prisoner’ rights (Chapter 9). Each of these provides a solid grounding in the key issues, and a well thought-out insight into the juxtapositioning of human rights norms and protections against the aims of the criminal justice system. However, in some of these sections, the line of enquiry is marred by the selectivity of the authors’ exploration of the topic in question. For example, in Chapter 9, The Rights of Prisoners, the recent prisoner disenfranchisement debate in the UK is skimmed over in just a page. It is suggested that Amatrudo and Blake, therefore, may have missed an excellent opportunity here to highlight the conflict between international human rights obligations and domestic criminal justice systems, which is characterised by the heated and acutely topical prisoner voting debates. 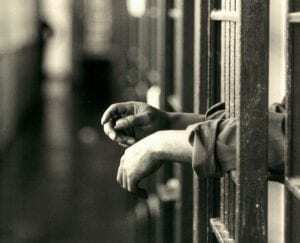 Especially as the prisoner disenfranchisement debate has been so prevalent within the anti-human rights rhetoric in the United Kingdom both within the criminal justice system and further afield. Regarding the focus on human rights, the depth of such exploration varies throughout the book and most notably between the two contributing authors. Throughout the text, and in an arguably timely stance, Blake consistently makes clear in his contributions that the Human Rights Act 1998, and its incorporation of the ECHR into domestic law, has achieved a great deal. To support his contention Blake emphasises, in particular, the role of the Act in protecting UK citizens from abuses by the State. Amatrudo, however, is less convinced of this, and generally takes a much broader view of the scope of human rights throughout his contributions. This difference in stance towards human rights makes itself clear throughout the text, and ultimately it is not hard to discern from both subject matter and tone of the book’s chapters which contributions were made by which author. Notwithstanding this, the book largely contributes understanding to an area of proliferating importance. Yet, somewhat ironically, the structure of the work serves to undermine the book’s usefulness as an academic reference for students. As in focusing on ‘key’ topics, the book’s analysis is, by its very nature and essence, limited to these selected topics. Further, as the work itself is structured around these issues with nine chapters dedicated to each of these topics, the book reads almost like an anthology or collection of essays as opposed to a stand-alone work. Although the book does include a conclusion by the authors, it is lacking a foreword or even an introduction which could have eased accessibility for the reader and which would have simultaneously provided insight into why these exact nine topics were chosen for discussion, at the expense of other perhaps more relevant topics. The omission of such an introduction largely detracts from what is a well-written book with excellent case law analysis and some interesting lines of thought, and instead renders the text somewhat inaccessible as a reference point for students. To summarise, while this book contributes to an increasingly important area of scholarship, namely the intersection of criminology and human rights, there are a few areas which undermine this book’s scope to contribute at the intended level to such debate. The contribution possesses the potential of offering an encompassing compilation on the topic for those with no prior knowledge. Yet, the treatment of the ‘key’ topics can seem rather piecemeal and as a title, this contribution therefore seems more suited to those with a good level of pre-existing knowledge in either criminal justice or human rights. 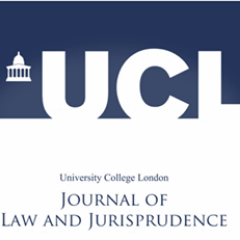 Last night (3 Oct 2016), the UCL Journal of Law and Jurisprudence launched its latest issue, Issue 5(2). The launch event was held at the offices of Slaughter & May, one of the Journal’s sponsors. 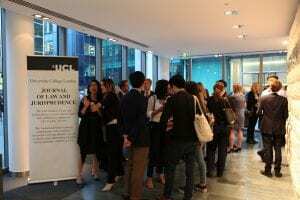 Some 50 practitioners, students, academics, UCL graduates, editors, and authors have attended the event. Dear Reader, This October issue of the UCLJLJ reflects our commitment to evolve and adapt while upholding the tradition of a biannual publication. The edition you are holding in your hands – or perhaps reading on your screen – continues the tradition of having a themed issue of the UCLJLJ. We have named it the ‘City Issue’. 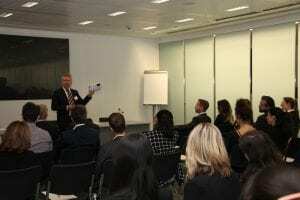 The idea of this theme is to reflect and celebrate the world-class reputation of legal practice in the City of London and the range of legal disciplines that are practised there. Our choice of theme was intentionally broad and left scope for any area of law and jurisprudence. Whether domestic, regional or international, the papers assembled here are a true expression of City legal practice and thought. Equally diverse and broad, the five papers offer an original and topical contribution from both academics and practitioners. The issue begins in the sphere of European Union law, with an analysis of the effects of mandatory bail-in on creditors’ property rights. Tracy Maguze considers whether bail-in rules interfere with the right to property of bank creditors and if such interference is justified. With particular emphasis on European human rights, she argues that bail-in rules do in fact infringe creditors’ rights to property on the basis of legality and legitimacy. The issue continues with an inquiry into domestic law, being the bookbuilding regime in the UK. Tong Jing Lim examines the UK IPO and price formation process and argues that, despite its flaws, the current bookbuilding regime has significant advantages. Instead of replacing it with an auction system, as proposed by the 2014 Myners Report, the author instead suggests a number of ways to improve the existing process. The third paper considers the doctrine of relief of forfeiture in the context of international, national and regional loan agreements. Analysing the material adverse change clause in light of recent case law, Michael Kokkinoftas argues that relief of forfeiture could be used by the borrower as a remedy for mitigating the severity of punitive clauses when an event of default is triggered. The paper that follows addresses short-termism in relation to listed companies in the UK. With emphasis on market behavior and the UK’s legal landscape, Andrea Bowdren argues that short-termism in listed companies should affect regulatory and legislative proposals and that breaking transmission mechanisms is crucial to prevent short-termism in corporate ix decision-making. She offers solutions to combat managerial myopia and to re-focus executive attention on long-term value creation. The final paper is a unique contribution to this City Issue and reflects the diversity and scope of law in thought and action. It presents a view from practice. Tolek Petch, Associate at Slaughter and May, considers case law in relation to asymmetric jurisdiction clauses in financial contracts. The author offers a comparative analysis of the differences in approach and construction taken by the French and English courts. He concludes that the doubts expressed by the French courts are unwarranted given the good commercial and legal reasons to uphold such clauses. This short overview shows the range of City-related issues covered in this issue. 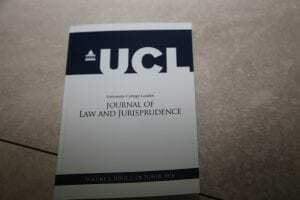 True to its founding objectives, UCLJLJ remains a journal dedicated to producing high quality papers in the field of law and jurisprudence. We hope therefore that this themed edition offers some useful insights, both theoretical and practical, into law as practised in the City. Finally, a few last words. After the publication of this issue, we will be handing over to a new editorial team. We have had a great year and are proud of our contribution to this Journal. We would like to acknowledge the hard work of everyone who helped in the formation and publication of this issue. First, thank you to the members of the Editorial Board who have each devoted significant time and energy to reviewing and editing these papers. Without their dedication, this issue would not have been possible. A warm thank you is also due to our Copy Editor, Dr Aislinn O’Connell, who is sadly leaving us. Her help and dedication over a number of years have been invaluable and she will be missed. We are grateful for our long-standing sponsors, Blackstone Chambers and Slaughter and May, and their continuing generous contributions to the Journal. In particular, thanks go to Tom Vickers and Grace Parkinson at Slaughter and May for their collaboration on this issue. Last, but not least, we are thankful for the support of the UCL Faculty of Laws and our Faculty Editor, Dr Daniela Simone. We hope that you enjoy the read, and wish the 2016/17 board the best of luck!